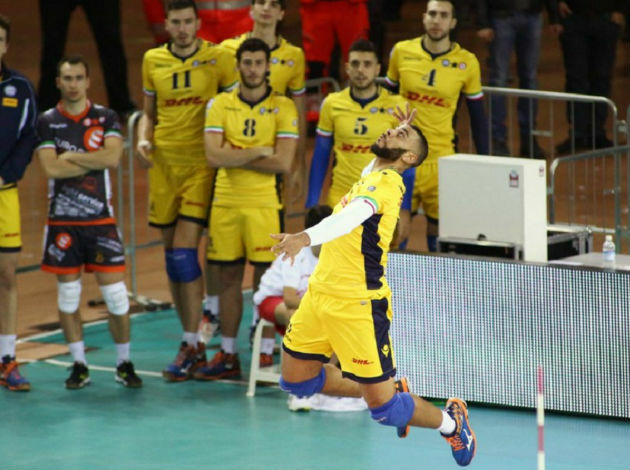 WorldofVolley :: ITA M: Milano steal one set, Modena advance to the semifinals! Modena have managed to defeat Milano in the second game of the Italian Serie A1 playoff quarterfinals to claim the spot in the semifinals. Milano have managed to steal just one set and that's was everything we saw from them in this semifinal series. After taking the lead, Milano's performance dropped and it was a sign for Modena to play with the full throttle. Ivan Zaytsev was the man who pushed Modena toward the victory in this game, scoring 19 points. Tine Urnaut added 15 points while Bartosz Bednorz added 12 points. Nimir Abdelaziz was the best scorer of the game in Milano, finishing the match with 18 points. Modena are now waiting for the winner of the game between Perugia and Monza. It's now likely that we are going to watch Perugia - Modena clashes in the semifinals.